Love the label and packaging industry? Never miss an update by subscribing below. September 2017 was an important milestone for Mark Andy, marking one year since the Digital One was released into the market. 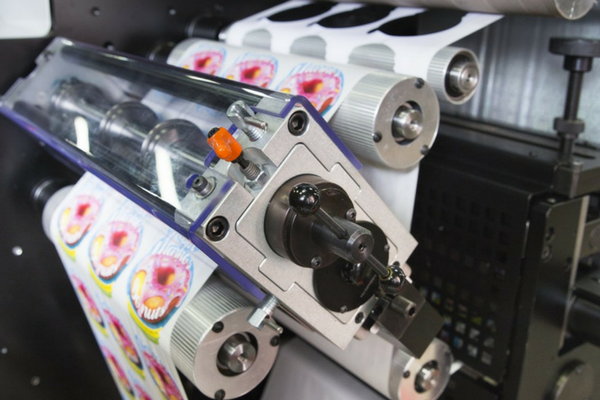 Debuting at Labelexpo Americas 2016, the press has continued to captivate label producers in a variety of industries and segments. The Core Digital One Launch Team. From left to right: Chad Bryant, Dave Kibblehouse, Paul Higgins, Alex Zimmerman, Verlon Curd, Megean Speak, Tim Brasher, and Tony Chu. Digital One was born after the Mark Andy development team sat down and interviewed 147 customers and asked them what it would take to create a practical digital label press for the everyday converter. Customers in the study were from all around the world and managed different types of print shops, but according to Tim Brasher, Director of Business Development, Mark Andy, responses from all parties carried the same tune. Key pain points of the market segment were uncovered, where partners of the press manufacturer shared they were tired of losing money on outsourced work and could no longer be competitive on new short run bids. 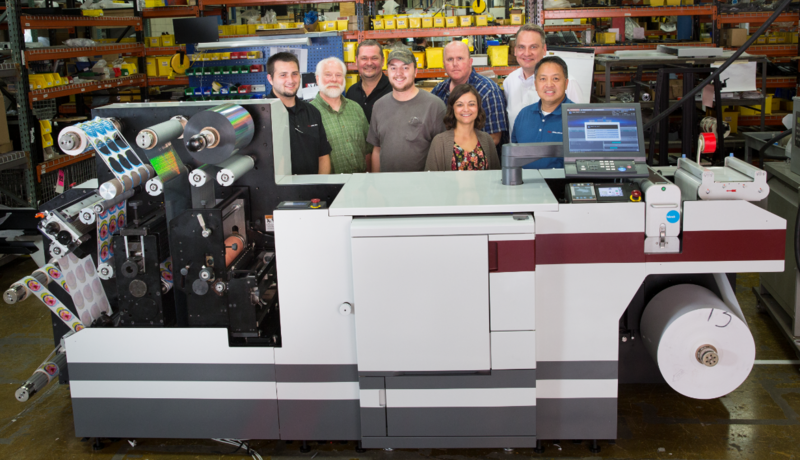 “I heard time and time again label converters needed a profitable way to stay competitive on delivery times, free up their flexo presses for long runs, and reduce costs on materials for their short runs.” Brasher shared. 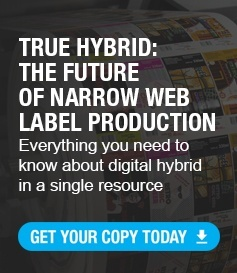 Tom Schelmbauer, VP of Engineering, Mark Andy commented that “from the beginning, we believed label converters would value the ability to run standard flexo materials instead of specially primed material. So our New Product Development team leveraged our web handling expertise to create proprietary tension control systems. Because of that, we are the only entry press on the market that can handle unprimed media as narrow as six inches.” The company is also proud to announce the release of special die tooling adapters that customers can purchase to get more mileage out of legacy tooling- both narrow versions of OEM and competitive tools. 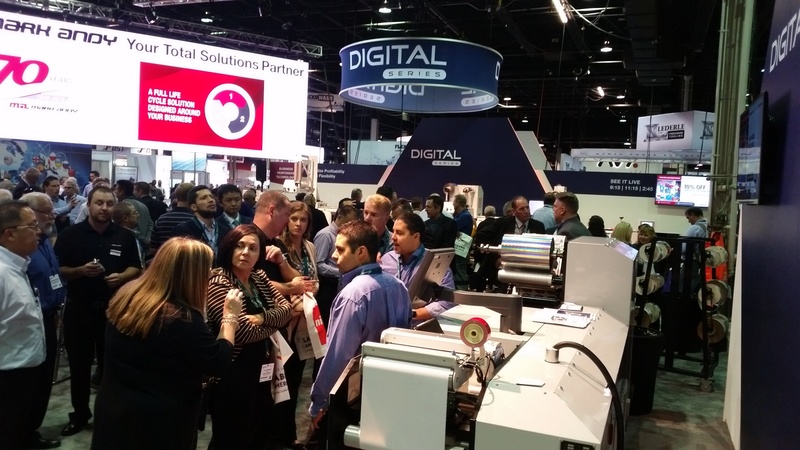 Part of the Digital One success of the across a range of markets is the technical versatility of the press. Schelmbauer noted “we figured the price of the Digital One would attract interest from different markets, so the machine was designed to combat many different applications.” An important application capability to note is in-line sheeting with diecutting, known to be crucial to those who manufacture drum labels or “stickers” for retail sale. Chandler Davis is a Marketing Specialist at Mark Andy based out of the company’s global headquarters in Saint Louis, MO. She is a University of Missouri graduate with a passion for social media, packaging design, and all things printing.